It has been a slow start to the blogging year. Mainly, this is because I have been desperately trying to finish the first draft of my Science-Fiction and Fantasy Quiz Book that is set to come out late this year. I am very happy to report that all 1,040 questions have now been written. I've still got a lot of editing and fact-checking to do, but I've made it over the tallest hurdle. I have also decided that I will never write another quiz book! 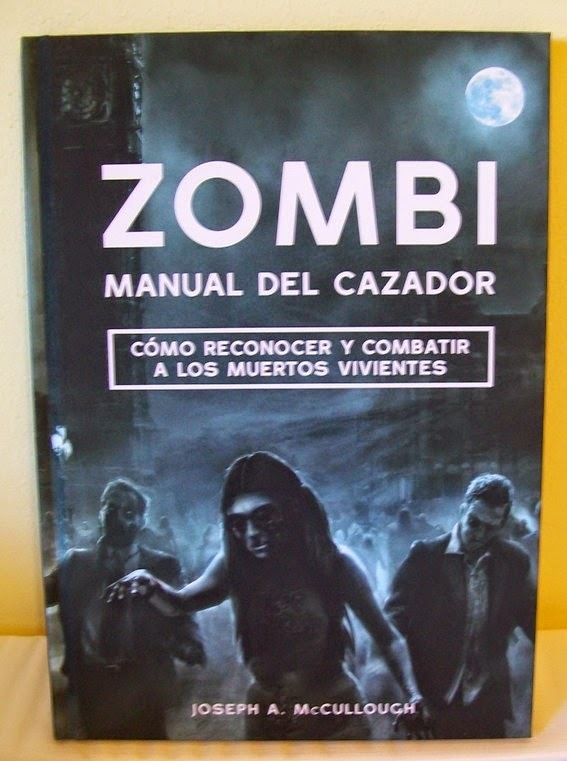 In other writing news, late last year I received a copy of the newly released Spanish translation of Zombies: A Hunter's Guide or Zombi: Manual de Cazador! I believe this marks the first time one of my books has been translated into another language. I can't comment on the translation as my fifty words of Spanish aren't enough to read the book; however, it is certainly a quality printing job, a nice little hardback, slightly narrower than the Osprey edition, but still featuring all of the great artwork. Interesting that the cover of this version, with it's little boxed-out tag-line is reminiscent of the cover of Max Brooks' The Zombie Survival Guide. It's a minor thrill if not a financial windfall. For anyone who might be interested in the English language version, it is still available on Amazon!